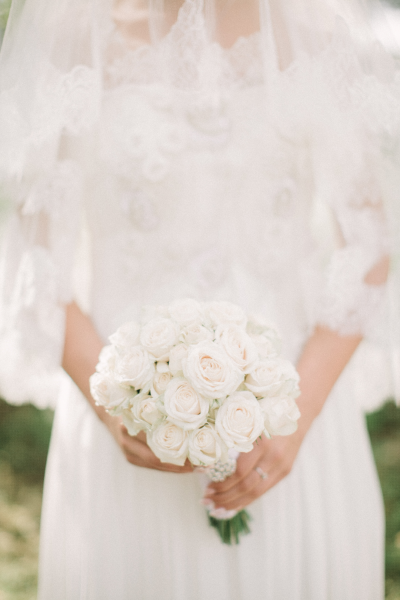 Have you ever wondered why brides wear white wedding gowns, or why it’s important to wear “something borrowed, something blue?” The history of wedding traditions is long and fascinating. Wearing a white wedding dress is relatively new to Western culture (Eastern brides wear red, which symbolizes luck and new life). For centuries, marriages were not seen as romantic affairs but as a ritual denoting an exchange of property. Up until the mid-19th century, brides simply wore their Sunday best to their exchange of vows (unless they were fabulously wealthy). It wasn’t until Queen Victoria’s marriage to Prince Albert that wearing a white wedding dress became popular with the masses. Queen Victoria’s white lace wedding gown became the one to emulate, and the rest is history. 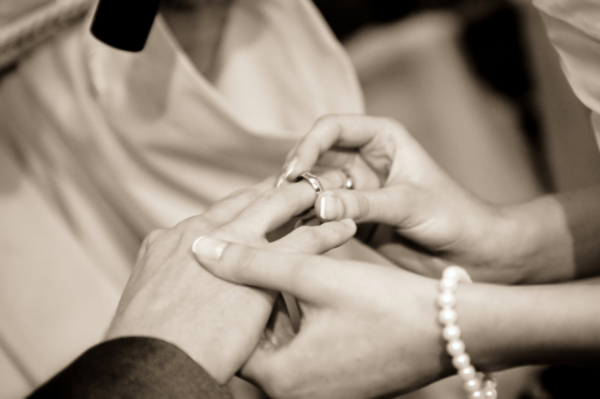 Historians believe the first wedding rings date back to ancient Egypt, where rings of woven hemp were exchanged to symbolize love and commitment. Later, these rings were replaced with longer-lasting material like bone or leather. In ancient Rome, iron rings were placed on the fourth finger of the left hand. This finger was believed to contain the vena amoris, or vein of love. The traditional wedding cake has come a long way from the days of ancient Rome, when a groom would smash a barley cake over his bride’s head. We’re glad this tradition is dead! 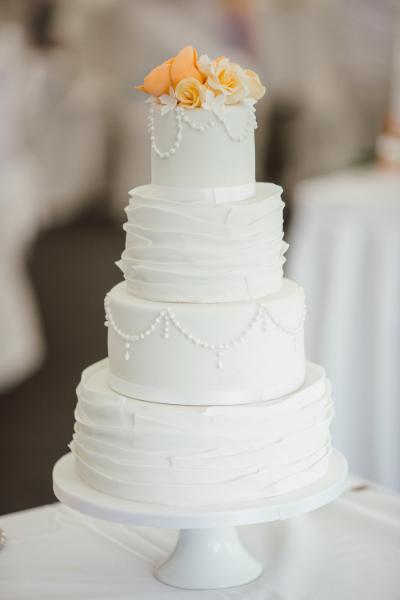 The sugary-sweet white wedding cake got its start in the mid-16th century, when sugar was becoming plentiful in England. White sugar symbolized purity, and white was also a status symbol of the wealthy. Tiered cakes also became a way to signify wealth. One of the most famous tiered wedding cakes was Queen Elizabeth II’s 500-pound behemoth. With the addition of “and a sixpence in your shoe,” this old adage comes from an Old English rhyme. Each item is supposed to bring the wearer luck. “Something old” was a way of protecting future children (but nowadays is way to show continuity by wearing a family heirloom). “Something new” was all about a bright future as the couple enters a new chapter in their life. “Something borrowed” usually meant borrowing something from a happily married couple so that their good luck rubs off on the new bride. And “something blue” was meant to deflect the Evil Eye as blue stands for purity, love, and fidelity.